Labor Day has come and gone, which means cooler temps are just around the corner. And while Labor Day has its barbecues, fall in OKC means great weather for picnics. So whether you’re grabbing a meal to-go or packing your own, here’s a few picks for picnicking in OKC.Labor Day has come and gone, which means cooler temps are just around the corner. And while Labor Day has its barbecues, fall in OKC means great weather for picnics. So whether you’re grabbing a meal to-go or packing your own, here’s a few picks for picnicking in OKC. 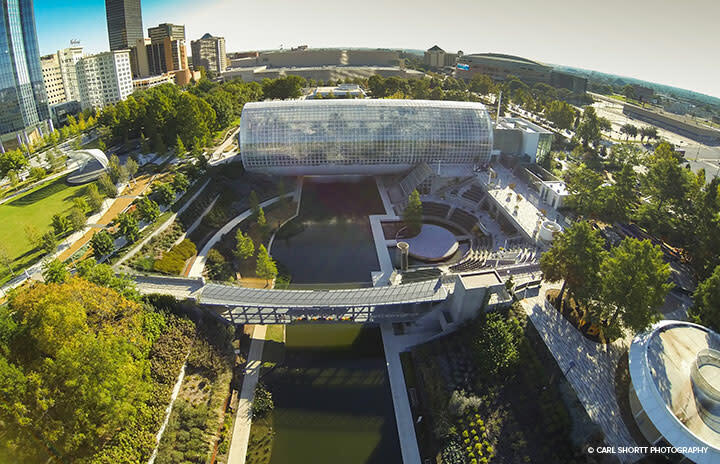 Located smack-dab in the middle of downtown OKC, this urban oasis provides plenty of perfect picnic spots that are also close to many downtown attractions, including the Crystal Bridge Tropical Conservatory. The Children’s Garden area is great for letting kiddos play before or after eating. And for those who’d rather leave the cooking to the professionals, you can grab some burgers, fries and shakes from the Ice House, which is located on the northeast side of the park near the corner of Reno and Sheridan. This 30-acre historic park located at the corner of 36th Street and Portland Avenue is a great west-side picnic spot. 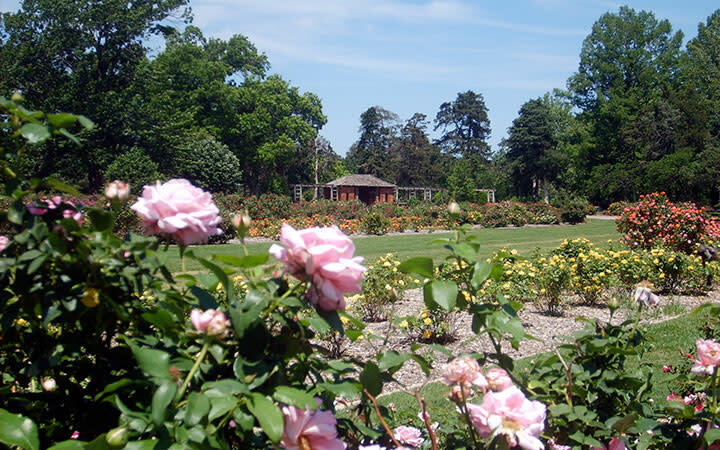 You can check out the Charles E. Sparks Rose Garden, with more than 85 different varieties of roses in bloom from April through October. There’s also the 7-acre Margaret Annis Boys Arboretum and the Ed Lycan Conservatory, featuring a large collection of cacti and succulents. 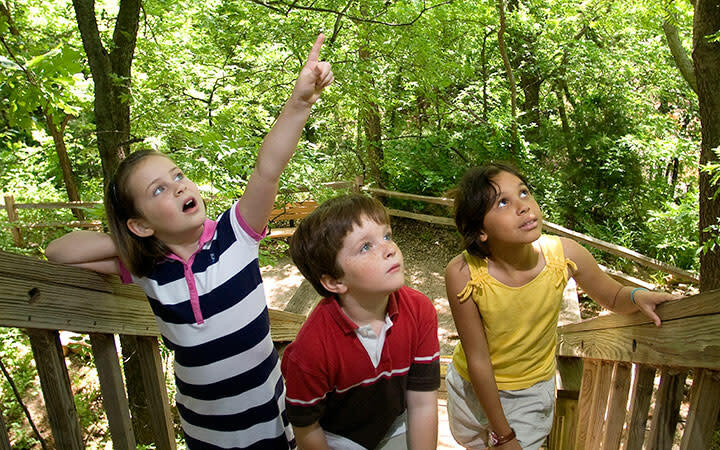 Located on the northern edge of OKC, Martin Park Nature Center is 144 acres of persevered natural habitat for central Oklahoma flora and fauna. It’s perfect for the nature lover. There’s a playground, an education center and 2.5 miles of gentle hiking trails that wind through woods and grasslands. There’s also a picnic pavilion on site. This 148-acre park on the west side of Lake Overholser boasts the largest playground of any Oklahoma City park. It also features the 3-story Cyrus Avery Observation Tower and Route 66 Skate Court, so there’s plenty to do besides just picnicking here. But when it’s time to eat, there’s ample room at the park’s covered picnic shelter. Of course, these are just a few of the great spots throughout the city to enjoy a picnic. 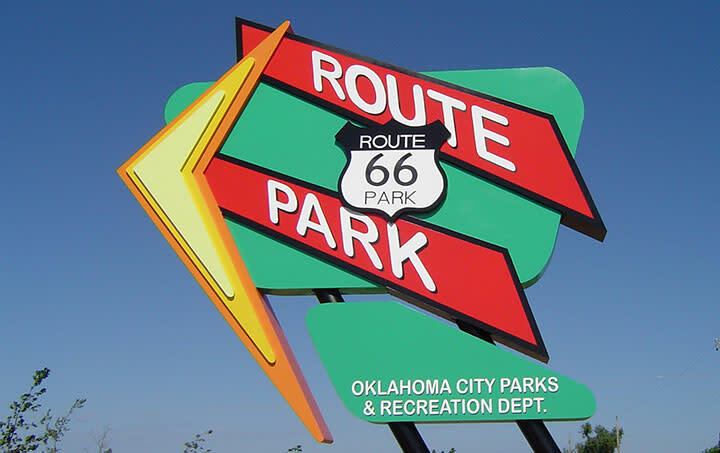 Check out our Map Explorer for a park or other picnic spot near where you might be in OKC.